Let your inner wild cat out with Qoya! All year long summer – sounds like a dream, doesn’t it? In Thailand that’s actually not far from the truth (apart from the occasional rain shower, and you can take ‘shower’ literally). Sunshine, palm trees and loads of beaches – I can call myself one lucky gal for calling this country my new home! I’m not the only one associating Thailand with eternal summer. 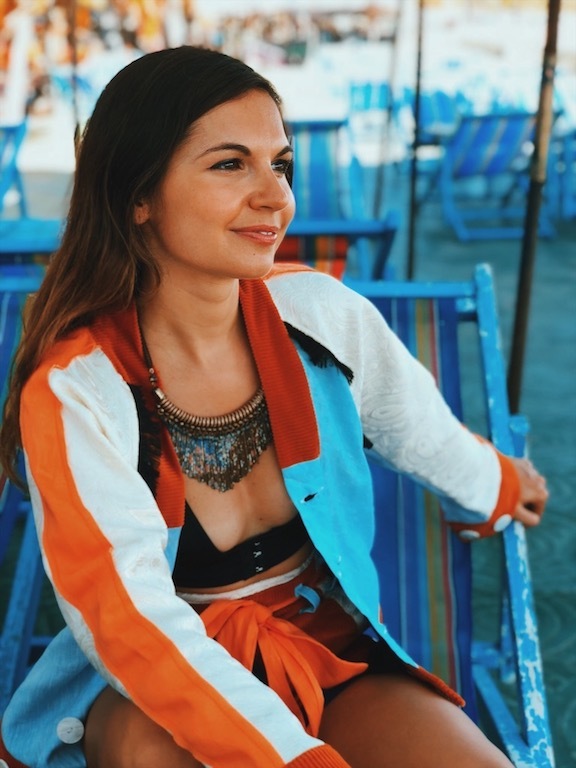 Wiriya Techapaitoon – or Wiri in short – has used it as key idea behind her brand, Qoya. 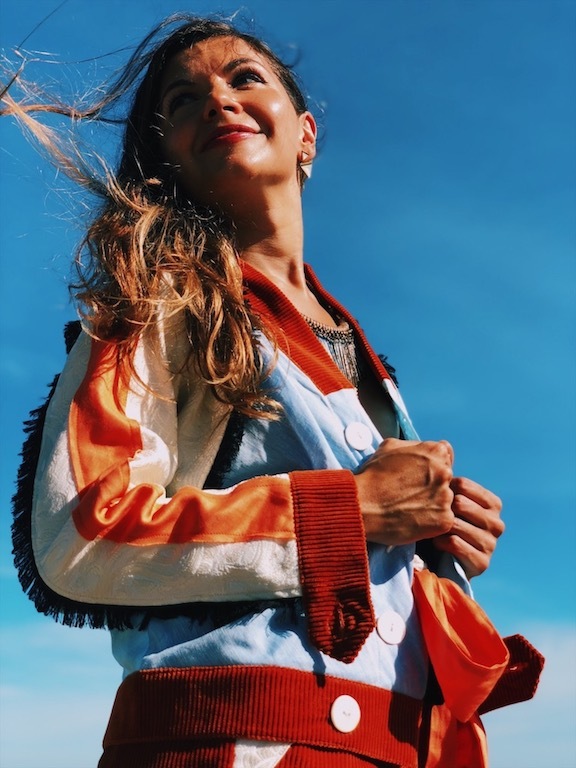 The signature style of Qoya is colorful, extrovert and fun. So it’s a perfect representation of Thailand to me! 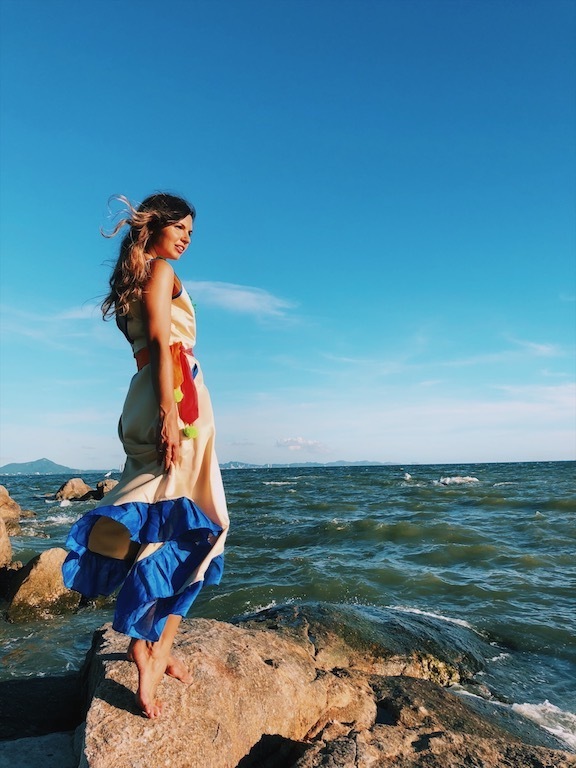 Wiri gets her inspiration from traditional Thai clothing and prints, but gives it her own creative twist. And she didn’t stick to clothing only: with Qoya you are fully equipped for your beach holiday. 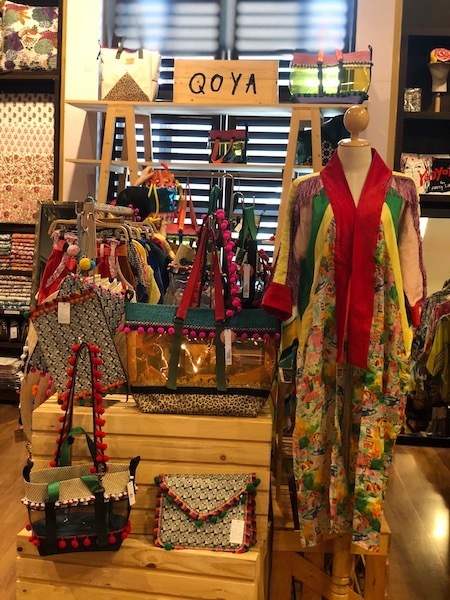 Beachwear, summer dresses, slippers, bags and hats – you name it and Qoya has it. You can start on the beach and end in the club, all in Qoya! Last but not least: where does the brand’s special name come from? 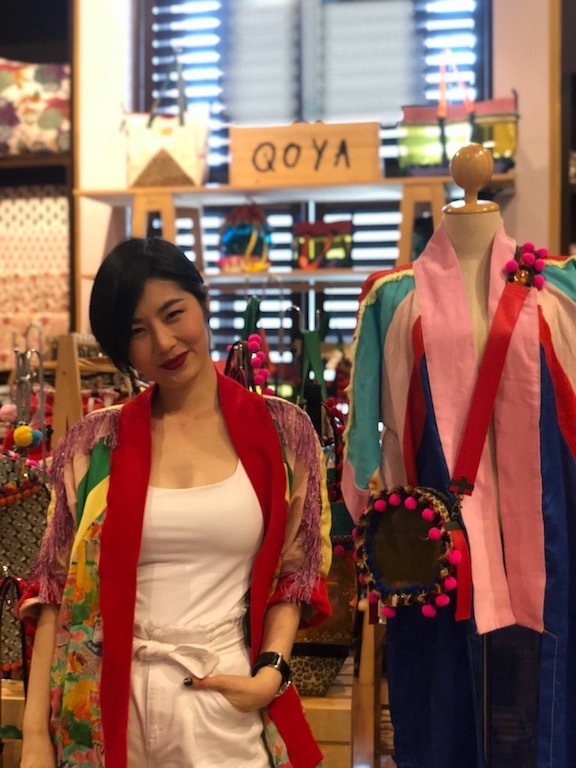 You can shop Qoya in Bangkok’s malls Siam Paragon (at Exotique Thai on the 3rd floor) and Gaysorn. Check out their full collection on Instagram @qoya.vacation, where you can order directly too (or via LINE @qoya). If you’d like to order from outside of Thailand, drop me a message through my contact page or send a mail to contact@treasurista.com and we’ll explore the options! Any questions on this brand or my blog in general? Any ideas or feedback you’d like to share? I’d love to hear from you in the comments below or through my contact page! The model is of course wonderful which makes it all … perfect!